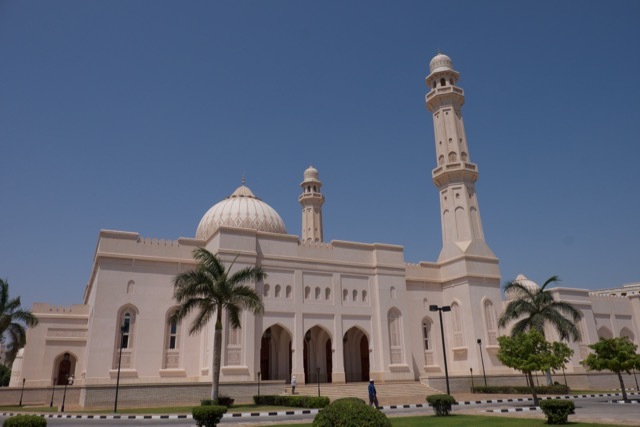 Jon Fleming Travelogue: April 13th – Is There More to Salalah Than Frankincense? 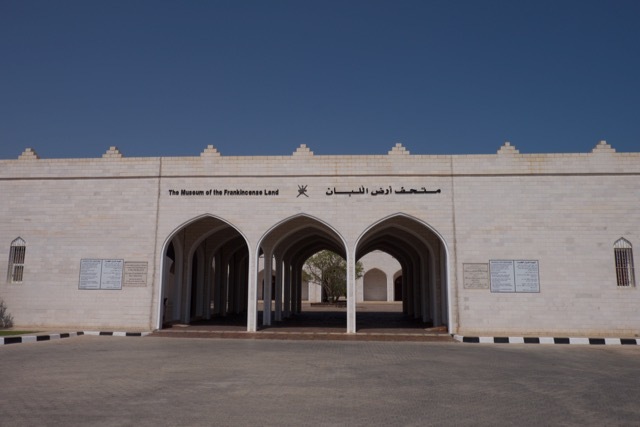 April 13th – Is There More to Salalah Than Frankincense? After a visit to Muscat, passengers usually come away with a really positive impression of Oman. 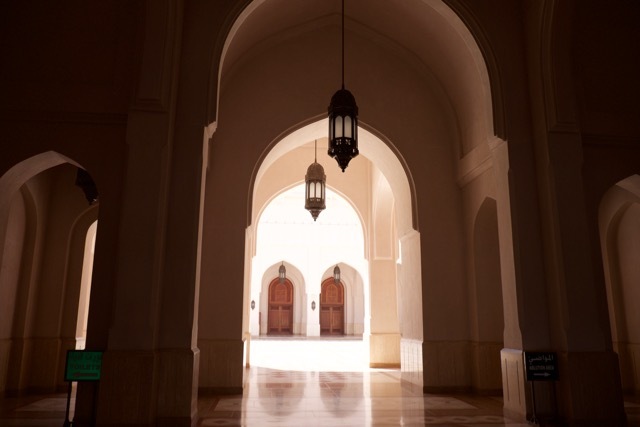 It's tasteful, clean, well organised and welcoming. 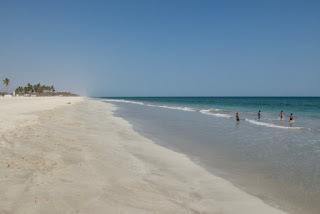 But, after a visit to sleepy Salalah, some of that positivity wears off a little. Of course, there's nothing wrong with Salalah – it's a prosperous provincial town – but, there's little about it that impresses either. It's a mainly modern town that has a dusty feel to it, without any set pieces to wow the visitor. 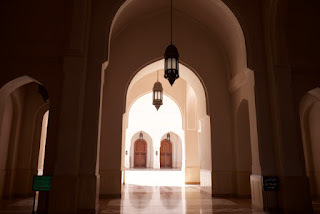 It doesn't help that both its biggest buildings are usually shut to the visitor – the Royal Palace's large wooden doors and high walls keep out prying eyes, while the Grand Mosque is shut in the afternoon (we arrived at 12pm). 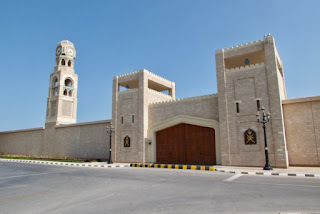 Plus, Salalah's biggest claim to fame – that it's the home of Frankincense – is a bit of an anomaly these days (at least to us in the West, who really have no need for it, unless we happen to be altar boys). 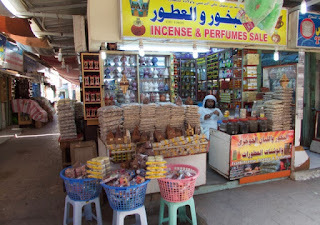 That means that unless you're really in the market for Frankincense (few people were), then Salalah's quiet souk proves to be as unimpressive, as much as Muscat's vibrant souk is impressive. There was an indolent atmosphere amongst its stallholders, who pretty much know that we're not going to buy anything that they've got on sale, so there isn't much life to experience. 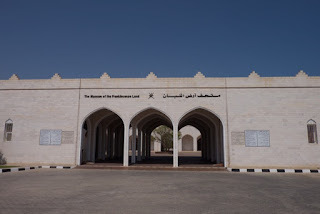 I visited the Al Balid Frankincense Land Museum, which attempted to put the historic Frankincense trade into context. To be fair, it does a fairly decent job at that – but, there's only so much that you can learn about Frankincense. So, today confirmed that Salalah hasn't added any attractions to its (limited) urban offerings since my last visit. This place is all about having low expectations.